Tax loss carryforwards are a valuable asset because they usually reduce a company's future tax payments. 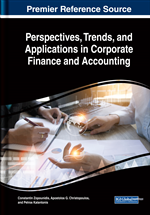 This chapter investigates the importance of deferred tax assets from tax loss carryforwards (DTA_TLC) by sector and index (FTSE/ASE) for the period before and after the outbreak of the financial crisis (2005-2012). In the non-banking industry, the DTA_TLC cover on average half (1/2) of the total deferred tax assets (DTAs) and one-fifth (1/5) of income before taxes (IBT). The telecommunications industry accounts for the largest DTA_TLC components, while the chemicals sector for the smallest. On average, the companies listed in the FTSE/ASE 20 report DTA_TLC five times larger than those of the FTSE/ASE 40. In the banking sector, until 2009 DTA_TLC constituted a small part of total assets and IBT. In contrast, after 2010, DTAs include significant components of DTA_TLC, as a consequence of the private sector involvement (PSI) and the financial crisis. In many tax jurisdictions, the losses occurred by a company, are eligible to be carried forward in the future and be offset against future taxable profits. Under the condition that future taxable profits will be available in the future, this tax provision leads to less tax payable in the future. According to the International Accounting Standards (IAS 12 & US SFAS 109)1, in the case that a company suffers losses that are recognised by the tax authorities (TLC), the recognition of an asset in respect of taxes that will be saved in the future years as a consequence of the unused tax losses (DTA is permitted. A Deferred Tax Asset (DTA) is recognized for the tax losses computed for tax purposes, to the extent that taxes arising from taxable profits will be saved in the future2. The deferred tax asset is intended to be offset against future tax liabilities and therefore the remeasurement of this asset is required at the end of each reporting year. The DTA that is estimated, at the end of the reporting year, that will not be utilized in the future, is reduced and charged immediately to profit or loss. The Deferred Tax Assets (DTA) had zero to minimal importance for the international accounting practice and research, until the adoption of US GAAP US SFAS 109 by the FASB in 1992. The previous setting (APB No 11/1967) although it provided the compulsory calculation of Deferred Taxes in the form of comprehensive allocation and the split of deferred taxes in long term and short term in the statement of financial position, it explicitly prohibited the recognition of deferred tax asset in carry forward losses. The application of SFAS No 109 contributed to the flexibility of Deferred Tax Assets recognition criteria (including DTA on carryforward losses) and at the same time imposed the regular impairment test of deferred tax assets (DTA Valuation Allowance). Since mid-90s a research mobility was developed around DTA. Many studies focus on whether investors perceive the Deferred Tax Assets from carried forward losses (DTA_TLC) as assets valued by the capital market (Amir et al., 1997; Ayers, 1998; Amir & Sougiannis, 1999; Zeng, 2003; Kumar and Visvanathan, 2003; Bauman and Bauman, 2002; Bauman and Das, 2004). The findings of these studies are often conflicting. The issue of tolerable threshold in the determination of recoverable amount of DTA and the movement in the valuation allowance sparked numerous discussions in the research community (Miller & Skinner, 1998; Behn et al., 1998; Visvanathan, 1998; Bauman et al., 2001; Burgstahler et al., 2002; Schrand & Wong, 2003; Chao et al., 2004; Frank & Rego, 2006; Christensen et al., 2008; Herbohn et al., 2010). The research results do not provide sufficient evidence that the valuation allowance is used systematically as mean of earnings management. Furthermore, the studies indicate that the accounting treatment generally follows the criteria and guidance provided by SFAS No.1093. According to SFAS No. 109 and International Accounting Standard IAS 12, the recognition of Deferred Tax in the Assets arising from tax losses carried forward (DTA_LC) is permitted to the extent that it is probable that future taxable profit will be available against which the unused tax losses and unused tax credits can be utilized (more likely than not criterion). In other words, the probability of future taxable profits should exceed 50% and the reasonability of the assumptions used should be provable.